MOBILE SPA! – Kids & Teens Birthday Parties–Bachelorette-Ladies Night-Corporate Events! 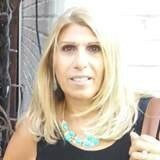 Marcella is the Owner of Spa Party Sisters (Mobile Spa Service) a Licensed Aesthetician and Cosmetologist from Westchester County. My expertise in the beauty industry is more then 20 years of experience in Salons, Spas, Acupuncturist, Medical Clinics and Retail Stores as a Nail Technician, Makeup Artist and Skin Care Specialist. Certified in Laser Hair Removal, Microdermabrasion, Skin Rejuvenation. I update my skills by attending yearly Spa Conferences and Workshops. Starting out in Greenwich, Connecticut with individuals that needed the privacy and convenience of a Mobile Spa delivered to their home. My clients wanted to be free of the responsibility when it comes to organizing a Spa Party or an Event by taking away the stress associated with the structuring and catering for a Party. “All of our Parties & Events are Custom-Designed to meet the needs of each client,” Spa Party Sister’s has a trained staff of professionals, Make-up Artists, Hair Stylists, Aestheticians, Nail Technicians and Massage Therapists. I also volunteer my time back to my community as a Certified Beauty Professional for the Look Good” Feel Better” Program for the (American Cancer Society). Armonk, Briarcliff Manor, Bronxville, Chappaqua, Croton Falls, Croton-on-Hudson, Dobbs Ferry, Eastchester, Harrison, Hartsdale, Hastings-on-Hudson, Katonah, Larchmont, Mamaroneck, Mohegan Lake, Mount Kisco, New Rochelle, North Salem, Ossining, Peekskill, Pelham Pleasantville, Port Chester, Pound Ridge ,Purchase, Scarsdale, Somers, South Salem , Tarrytown, Valhalla, West Harrison, White Plains, Yonkers, Yorktown. To view events, photographs please visit our online gallery.